At Premier Welding we aim to offer offering amazing value for top quality products. We have put together a selection of machine and accessory “ready to weld” packages to suit all budgets and needs. 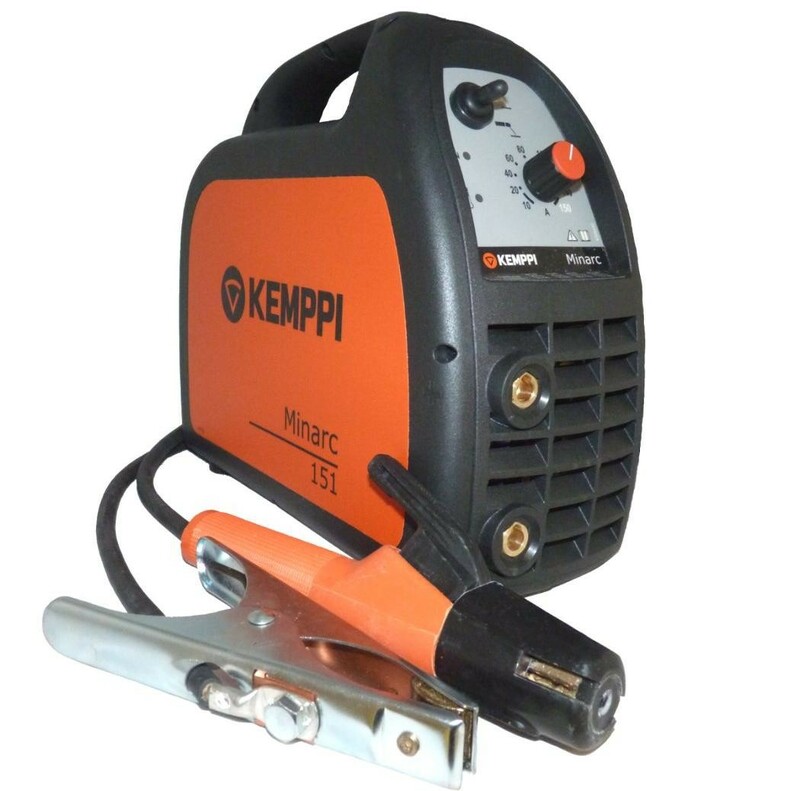 The Minarc 151 is a lightweight MMA welding machine ideal for use in workshop and site environments. Minarc tolerates large fluctuations of input voltage making it excellent in field conditions with long cables or supply generators. Designed with portability and outdoor use in mind, the Minarc has a durable casing, ease of carry with its shoulder strap and well-protected control knobs. Protection against overload, over voltage, humidity and dust ingress gives excellent reliability. TIG welding is made possible with the scratch-TIG function. The Minarc 150 is also available with a VRD function . Minarc 151 is designed to be used with 110V site transformers. The Minarc's superior arc performance is based on high voltage reserves and automatic Arc Force. These guarantee that the arc will stay stable in all positions, with any current and even with extra long cables up to 50m. Automatic Hot Start gives perfect ignition in all conditions.